Manitoba Sports Betting Online - Is Internet Gambling Legal? Manitoba is a western province in Canada that’s most recognized for agricultural production. The landscape is dotted with lakes and rivers, and most of the cultural and athletic activities in the area are centered in Winnipeg. Casino gambling is legal in the province, and the same goes for sports betting. The focus of this article is on the latter, especially athletic contests that can be wagered on and the restrictions put in place by the local government. Please remember that I’m not a lawyer, so it’s always advisable to consult a legal professional before gambling on sports. “I saw it on the Internet,” is not going to be viewed as a valid argument in a court of law. Sports betting is legal in the province, but its operation falls under the jurisdiction of the Manitoba Liquor & Lotteries. While residents can wager on sporting events, they must utilize the Sport Select system in order to do so. Sport Select is a betting service that’s also present in Alberta, Western Canada, Saskatchewan, Northwest Territories, and the Yukon. It’s available at participating retailers such as gas stations and convenience stores, and it allows customers to wager on sporting events by filling out a ticket. • Players are limited to a maximum of $250 per day on each type of bet at a specific retail location. • Single game betting is not available. In order to make a wager, the customer must select two or more teams. • In regard to the sporting events that can be wagered on, Sport Select doesn’t offer the multitude of options that you might find from a major online bookmaker. • Since there’s no competing service within the province, odds can sometimes be less than impressive. Due to the level of competition, online bookmakers often provide better odds to their customers. • Over/Under – Choose a minimum of 2 games and a maximum of 10. Predict whether the final score will be above or below a certain number. Wagers run from $2 to $100. All predictions must be correct in order to win. • Pro-Line – Choose a minimum of 3 games and a maximum of 6. Predictions for each game include a visitor win, home win, or a tie. Wager from $2 to $100, but all predictions must be correct in order to win. • Point Spread – Predict 2 to 12 games based on the point spread. From $2 to $100 can be wagered. A perfect score yields the biggest prize, but lesser money is available for a single miss. • Props – Make 3 to 6 picks. Two players are listed, and you must predict which will have more points, goals, or yards. Wager from $2 to $100, although all picks must be correct to win. • Pools – The game card includes a number of sporting events, and the player is asked to pick the winner in each one. Their number of correct picks is compared to other participants, with the most successful participant winning the prize pool. • Combo Play – Wager on a series of combinations of the same game on Over/Under, Point Spread, or Pro-Line. • Double Play – Combine Over/Under and Pro-Line on the same ticket. Wager from $2 to $100 and win if all predictions are correct. While Manitoba isn’t exactly the sports capital of Canada, it still provides a respectable number of opportunities for gamblers. From internationally popular events such as hockey and baseball to more localized events such as curling, bettors should be able to find action on all manner of competitions. • Winnipeg Blue Bombers – Founded in 1930, this football team competes in the West Division of the Canadian Football League. As of this writing, they have won the Grey Cup on 10 occasions. • Winnipeg Jets – Originally known as the Atlanta Thrashers, the team moved to Canada in 2011 and became the Jets. They’ve yet to win a Stanley Cup. • Winnipeg Goldeneyes – A team affiliated with the American Association of Independent Professional Baseball. They captured league championships in 1994 and 2012. • Brandon Wheat Kings – A major junior-level hockey team that competes in the Western Hockey League. • Winnipeg Rifles – Founded in 1999, this team competes in the Canadian Junior Football League. • Manitoba Curling Association Bonspiel – An annual curling tournament that’s been taking place since 1888. The largest in the world, it regularly draws over 1,000 competing teams. • Canad Inns Women’s Classic – An annual Grand Slam event that’s part of the women’s World Curling Tour. If you’re looking to wager on university athletics in Manitoba, there are three major options: the Wesmen of Winnipeg, the Bobcats of Brandon University, and the Bisons of the University of Manitoba. Each of these teams is part of the Canada West Universities Athletic Association, and odds should be available for their various sporting contests. 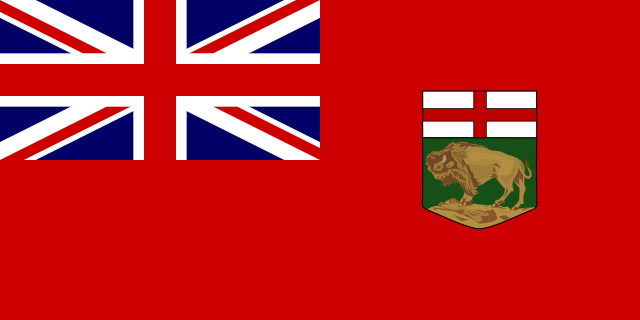 In 2012, Manitoba entered into an agreement with British Columbia to bring licensed online gaming to its residents by using the Internet platform of the latter. The site, known as Playnow.com, launched in 2013 and offers casino gaming, poker, and sports betting to the residents of Manitoba. While some offshore bookmakers may accept wagers, this is the only one that’s entirely legal within the province. Between the Internet site run by the provincial government and the terminals set up in most convenience stores and gas stations, Manitoba sports betting is quick and easy for both locals and tourists. While the odds may not always be as good as what you’d find from international bookmakers, the ability to buy some groceries and fill up your gas tank at the same time makes for an appealing combination.